As an astrologer who is Venus ruled, I take her retrograde periods personally. If you are a Taurus or Libra, or have either of these signs rising in your birth chart, this makes you especially sensitive to Venus retrograde periods and you'll want to understand more about the deeper meaning behind her gentle nap. Venus governs our social expression, values, what we love, marriage and other personal relationships, material possessions and money, our talents and abilities, the arts, beauty, harmony and perhaps most important, our sense of self worth. For a Taurus or Libra these are life long matters of concern and learning experience. Our souls evolve through integrating Venusian lessons in our daily life. Some days we dance gracefully, exuding her charm and harmony but then there are times when her gifts seem beyond our grasp. Her balance eludes us and we stumble, recoil and retreat from being that beautiful swan right back into the proverbial ugly duckling. Whether you are ruled by Venus or not, this is exactly what happens to all of us when Venus turns retrograde. The love consciousness and all matters that are Venus ruled are not easily expressed outward. We internalise our feelings and cannot easily convey what we want to the world. We question our very worthiness. On July 27th Venus turns retrograde in Virgo at 3 degrees and will move backwards until she reaches approximately 17 degrees of Leo on September 8th. Astrology is the study of patterns and how these patterns affect our human development. Venus will retrograde every 18 months but she repeats certain cycles within this pattern and every 8 years an entire Venus retrograde cycle is repeated. It is helpful to know this because looking back to the events of 8 years ago in this same time period will provide you with a good idea of what this current retrograde period may mean for you personally. Themes will be repeated. Venus begins her retrograde in the most discerning sign of the zodiac, Virgo. When the planet of love, beauty and money turns retrograde in this sign we find our love consciousness internalised in a potentially self deprecating way. We'll be critical of our relationships and analyse them from the inside out. Virgo is the sign that demands perfection and purity but she is always most critical of herself. Venus retrograde in Virgo will call us to examine the conditions we place on our love relationships and self worth. What or whom are you loving conditionally and where might you need to practice unconditional love in your life? Where have you been conditioned in terms of your personal self worth? Do you believe you are only worth loving if you've met certain standards first? These are the deeper questions all of us are challenged with during the beginning of this Venus retrograde period. When she re-enters the sign Leo she'll internalise the capacity to give love with warmth and generosity. She will internalise the inner child who resides within all of us and perhaps dwell on the part of him that is also the wounded child. At its worst, Venus retrograde in Leo is akin to someone placing a giant boulder on your heart. The ability to create is impeded. You feel unworthy somehow of expressing the joy that is a universal birth right. Venus retrograde in Leo will force you to understand what is blocking the flow of your heart. Loving yourself is a prerequisite to loving anyone else. Venus in Leo wants to give love but while she is retrograde she cannot express this until she's integrated the Venus in Virgo lessons of weeding out ones own values and accepting ones own flaws. You must decide to love yourself not despite the imperfections but because of them. Venus in Leo also wants you to consider where your ego may have gotten in the way of your ability to love unconditionally. When you remain fixed to your wounded child and hold back apologies or forgiveness you are merely being self righteous and conditional. This is the boulder that weighs heavy on your heart. This Venus retrograde cycle will make you think so much about the weights of your love consciousness that you'll either decide to lift them off or be crushed under them. There is no in-between. Values such as gratitude and appreciation are in the domain of this Venus retrograde period as well. Have you expressed these enough in your life? Have you felt them in return? If not, can you let go of the need to feel them and simply continue to serve out of unconditional love rather than your ego's need for reward? 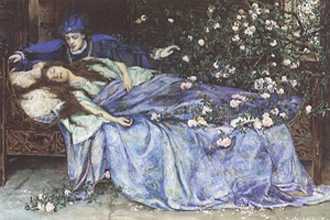 As you can see, Venus retrograde is not the benign Sleeping Beauty she appears to be. Her lessons are harsh and demanding. Yet the rewards are priceless. This summer, you can learn about the value of admitting love is not perfect but perfect love resides in accepting these imperfections. It is my hope for all of you that by the end of this retrograde cycle you are renewed in your sense of personal value and can affirm that you are worth being loved. Recognize that the capacity you have to give love is infinite. No standards need to be met in order to experience that joy.